Things have geared up full force for spring. Saturday we went fiddlehead picking. In the course of a week, the fiddleheads have poked their lazy heads out of the sandy stream banks and bolted. They’ve gone by. Normally the picking season is just gearing up for the second week of May. This year, it’s done and over with all ready. We didn’t even get a quarter of what we picked last year. Tonight we’ll cook off the few pounds we have, enjoy some for dinner, and freeze the rest of the cooked ones to be added by the handful to pasta and other dishes. We still have four frozen servings from last year, so we’ll have some throughout the summer, just no Yule time fiddleheads from the freezer this year. The next thing on the list for foraging and trying is a tie between Japanese knotweed and dandelion greens. I know, what type of homesteaders are we that we haven’t tried either yet? Insane! ;-) Both are things that I think I’ll be trying solo as neither Hubster of Little Mister seem too enthused about the idea. Regardless as to whether I get to try the greens or not, I need to start harvesting dandelion root as I’m almost out. At least I have more of a plan this year, so it should go a lot smoother than in the past. 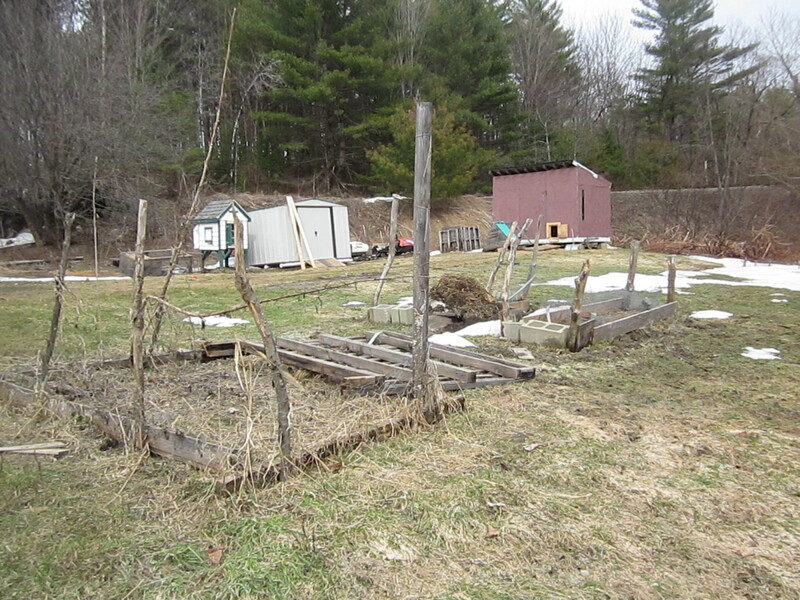 Saturday we were also able to sell our original, and now unused, chicken coop, which gave us the funds to purchase our first blueberry bushes. I’m hoping to get them in the ground this weekend at the latest. I’ll be doing a more in-depth post on those later, but needless to say, we’re all excited! They’ll be going in down amongst the rhubarb and will really help pull that piece of the yard together. Sunday saw us outside practically all day. Hubster, bless his heart, was devoured by black flies in the morning while beginning the tilling on the gardens. The large garden that we added last year as been extended a bit and we mergered two older gardens together and expanded those as well. We also tilled a 6×10 plot for Little Mister to have as his own first garden. He and I will be working on the fencing for that this weekend, most likely. He’s super excited about it. 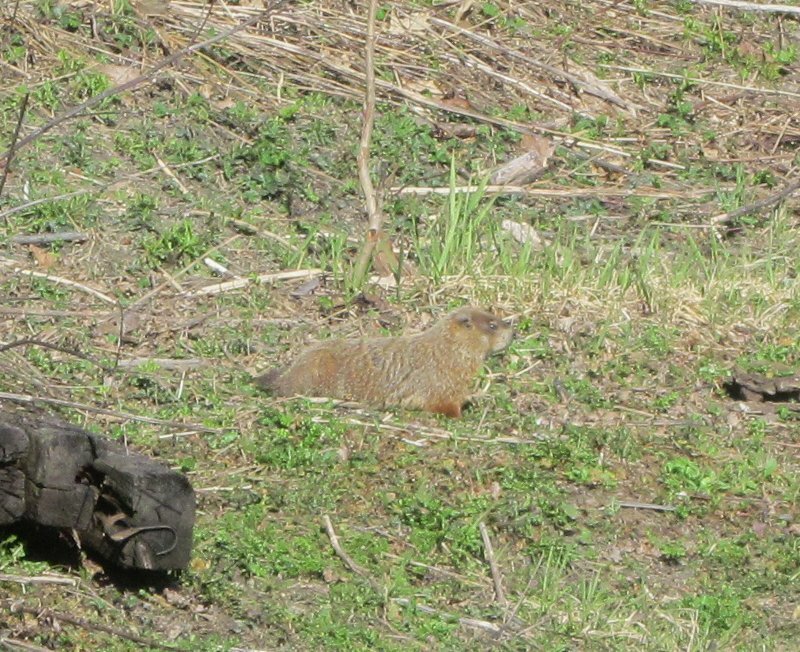 Now if I could get him to understand the blueberry plants aren’t for his garden…. Given the crazy season, updates on here might still be a bit more sporadic than what I would like, but I’ll try to share and re-link past posts from our excursions and adventures in order to keep things more entertaining. A lot has changed in the past two months since I have had time to update here. Personally, I’m suffering the set back of having to extend my Master’s work yet again, but this will be the last time, thankfully! 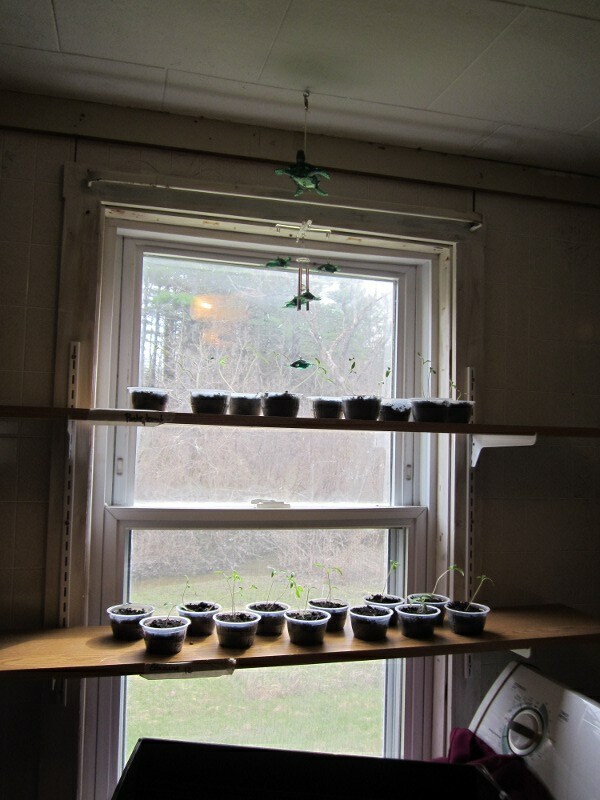 The time that I’ve had to devote to my writing, the mental prep and planning for planting season, and the physical exertion of growing another farm hand has left me with very few chances to get onto the blog. I’m stealing a few minutes to update everyone about what we have going on and what’s changed. We decided to rehome our white crested Polish rooster, Jovi. No sooner did we than his immune system apparently shut down on him. He passed away only after a week of living in his new home. It killed me to hear that he had moved on. I just hope that depression and being away from us did not exacerbate his health issues. His new owner did say he didn’t seem to be in pain when he passed. It’s hard, though. You can say as often as you want that you won’t get attached to the live stock – the breathing beings that provide you with food – but it’s hard not to. Our only rooster now, Gimp the Rhode Island Red, has been dealing with some health issues of his own. At a later date I will do an entry on both of the specific ones he went through and how we treated each, as it’s very important information that I feel many chicken owners, including myself, tend to over look. Needless to say, he’s lost half a toe and two toe nails due to frost bite issues and is allergic to hay. We’re also looking to rehome a few of our hens who just aren’t fitting into the flock as well as we would like. they are great layers and barely a year old, so I can’t see just sending them to freezer camp. We have a few people interested, we just have to decide when we need them gone by. It’s also chick season around here. We bought 6 Black Australorps pullets from Aubuchon’s since we couldn’t get the from the hatchery. While there, I entered for their Chick Days drawing, which ws a chick starter kit. For once in my life, I won something! Not only did we get a tote with all the fixings (water font, 2 feeders, heat lamp and bulb, treat stick, and themometer), but it came with six free chicks (one mystery chick and then I chose the rest), a bale if shavings, and a 25 lb of feed! We now have the 6 Black Australorps, 5 Jersey Giants, and one mystery chick (most likely a Brown Leghorn or Welsummer roo) in one brooder box. The other brooder box has 10 Buff Rock roos, 2 Buff Rock pullets, 2 Blue Andalusian Pullets, 2 Silver Laced Wyandotte pullets, and a mystery bird, which I’m pretty sure is a Cochin. Our basement is very lively right now! We also have expansion plans for the gardens and will possibly be adding in blueberry bushes this year as well. Oh, and let’s not forget fiddlehead season is in a few weeks! Let’s hope this waddling mama doesn’t fall into the Sandy Brook when fiddlehead picking! As the snow finally melts away, we are left with what remained at the end of last season. It’s a new war that is dawning: an adventure to parallel the likes of the Ring Bearer making his way to Mount Doom. The last few years have been trial and error when it came to what we need for gardens and how to fence them in. This year will be the year of massive planning and retrofitting the existing beds to work for a more long term mindset. 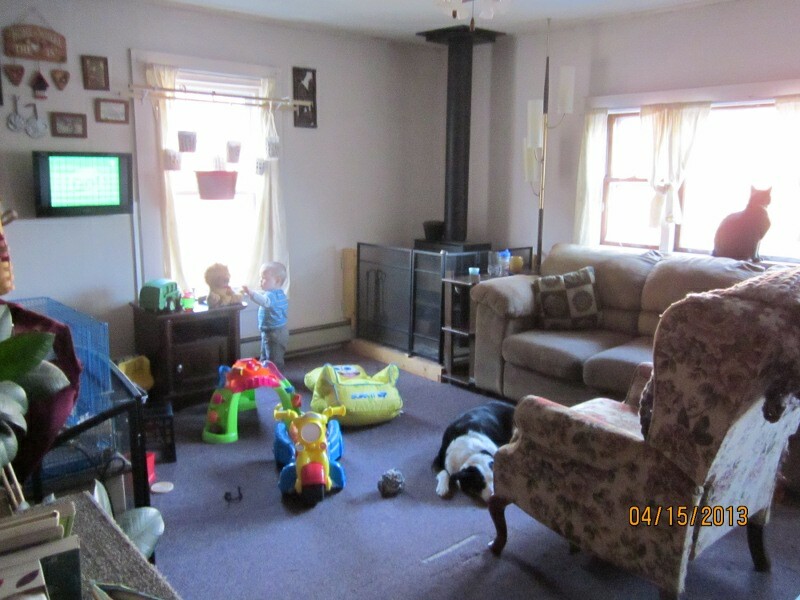 When we first moved into our home it was with the idea that we wouldn’t be here for more than a few years. Things change. We decided that starting a family was (and still is) more important than waiting until things are “prefect” – which they never really are. With that in mind, we’ve both finally come to terms with the fact that we’ll be here for another five, possibly ten, years. (I will admit, it took me a lot longer than the Hubster to come to terms with that.) I finish my Master’s this December, so this is the last season that I will definitely be on site pretty much 24/7. These two things mean that this is the year to really hammer out the homestead. Or at least get the gardens up to snuff. * Starting two potato towers made from locally sourced, free, untreated pallets. * Mulching the bahgeebers out of the garlic patch. None of this includes making the “run way” for the sun flowers, herb boxes, lettuce boxes, of the mini greenhouse for the hot peppers. On top of all the gardening, there will be foraging, wood splitting, house repair, animal raising, and all the other crazy goodness that comes with the spring. We have a friend that’s been around for a few years now, but he’s now making daily appearances. He loves to hang with the chickens! 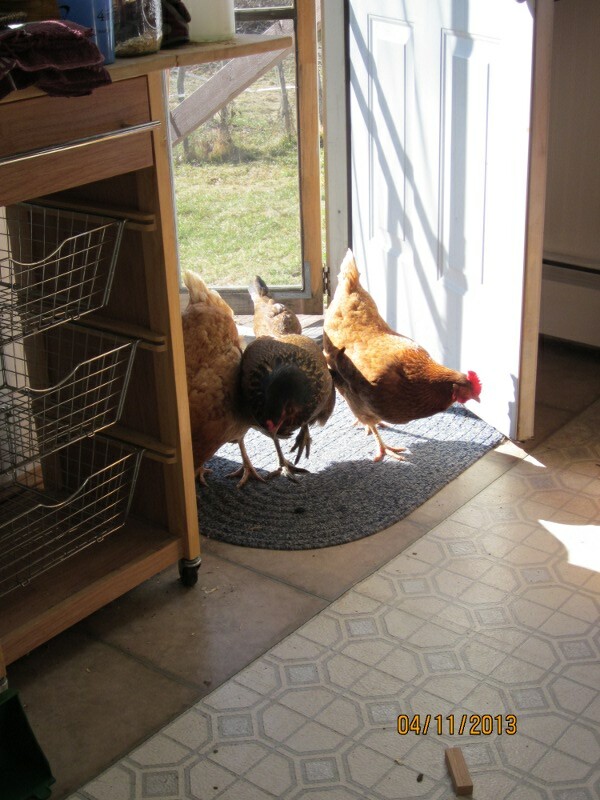 The new game that the ladies have created is “Break In” – they try to see how far into the kitchen they can get when no one’s looking. In the background you can see the new method we’re trying with the pepper plants. 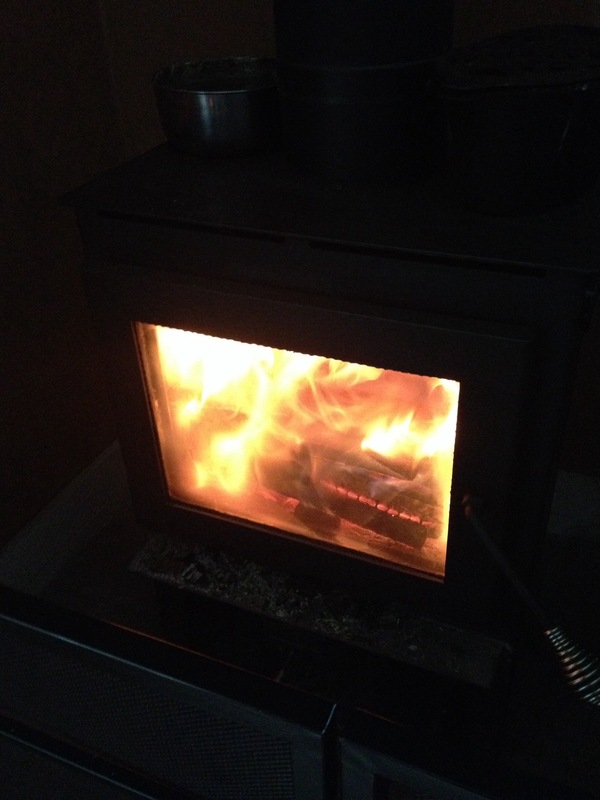 Here’s hoping the extra heat from teh window and wood stove give them a decent start. The San Diegos and Glaciers are growing like mad already!